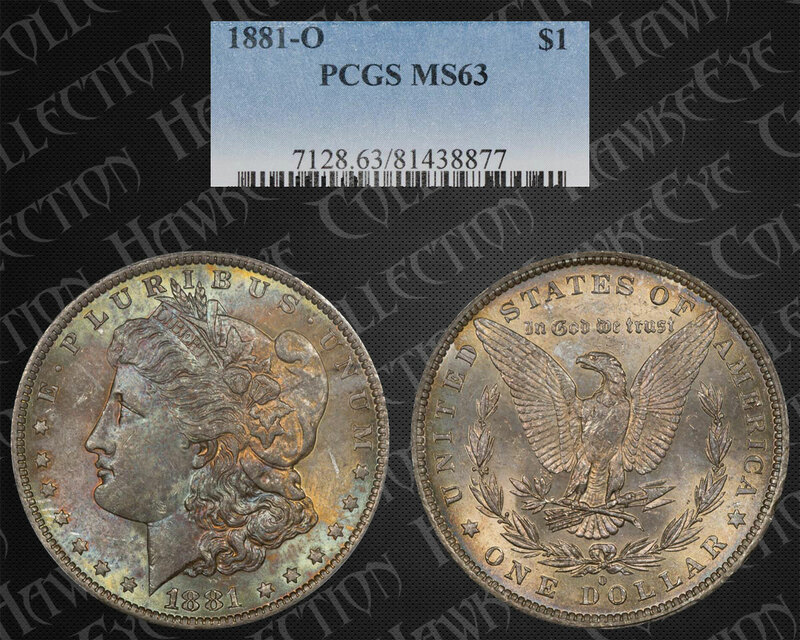 Comments: A really nice coin with almost some hidden fire until you see the enlargement. But did they get the grade right? Once you drop the color out of the image it looks to us that the grade is about right. Given the amount of color it seems that grading this one accurately was a challenge. We can see some abrasions on the cheek and a few in the fields. But it is a good strike. 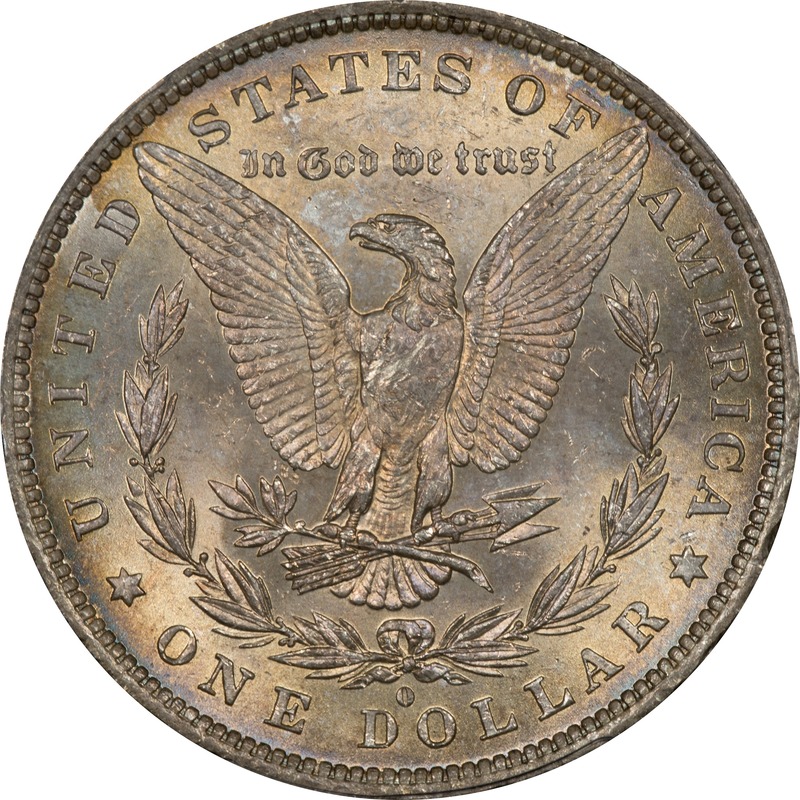 As a side note, many of our VAM 22 coins are toned, probably indicating that they were stored in the same bag or in close proximity. This is definitely a bag toned coin for a number of reasons. The colors fit, there is evidence of moisture damage, and there is evidence of contact with the Mint bag. This one probably languished in the New Orleans Mint and was repeatedly exposed to moisture before finally being released. 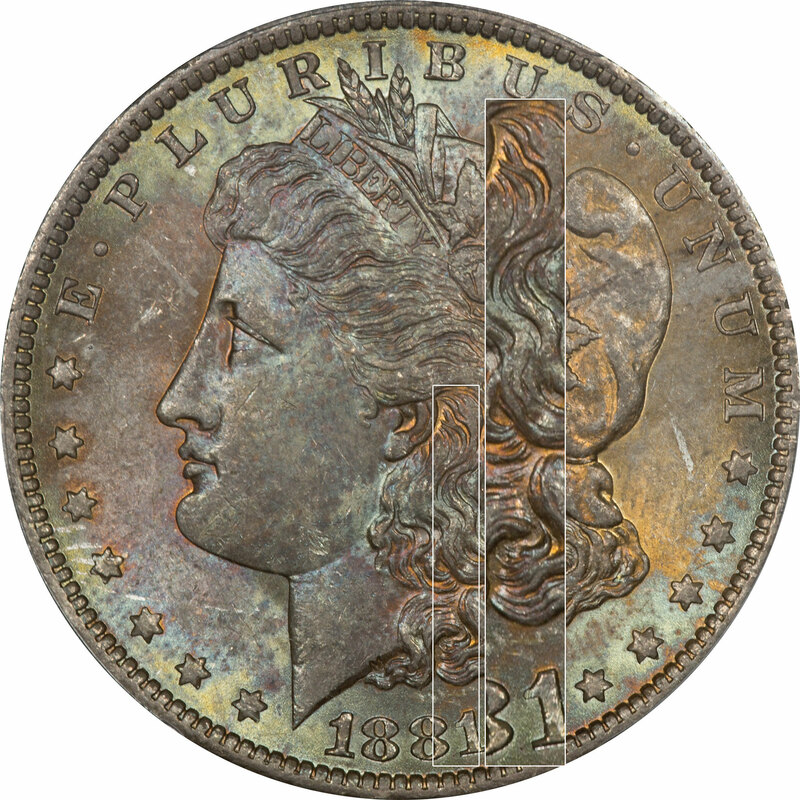 Immediately two features of the color on this coin stand out. First is the inner fire look to the hair. This gives the device a distinctive look. Second is the opalescence in the fields. The powder blues and bright yellows confirm that this is likely bag toned. Mixed in is some faint magenta which helps create the illusion of the opalescence.